Bloggers: How to Stop Procrastinating and Get Things Done! Starting a blog and taking care of it full-time isn't the easiest job in the world. And that's when life is on a normal schedule! Do you stress out during the holidays or when you get back from vacations? I've had some crazy to-do lists lately myself and have some stress management tips to share. Plan with me while I use my Erin Condren LifePlanner! If you've ever wondered what it looks like inside a blogger's planner, now's your chance to find out. Check out all the little gadgets I use to decorate and organize my week! Watch the video version of this post below or keep scrolling for the text version. This post may contain affiliate links but I only recommend things I love or use so no worries there. Read my Disclaimer for more info. Recollections Washi Tabe Tube (Can’t find my exact design online. ) Similar style. I apologize for the quality on some of these photos! I recorded this Plan with Me straight through and didn't stop for photos. Most of the snaps below are the best screenshots I could get from the video. 1. Start with my Erin Condren LifePlanner in the vertical layout. The first thing I do is check my content calendar in the monthly view to see what videos/blog posts I have planned for that week. 2. Use the washi tape to line the left-hand portion of the week as well as the three sections on each day of the week. I also marked off all of January 16 because it's my hubby's birthday and I only want to spend the day relaxing with family. 3. I insert larger stickers in one of the slots on each day of the week to add a little bit of fun. Now I create perfect to-list lines with my stencil in all of the remaining slots. 4. I fill in my most important list of duties for the week but make sure I leave plenty of room for other tasks that will definitely pop up throughout the week. And that's it! Now I'm ready for the week! I know it might seem like a waste of time to use all of this washi tape and stickers but the act of sitting down after the kiddo has gone to bed is actually very therapetuic for me. Mommy needs her "me" time and getting creative while planning my week is totally up my alley. What planner do YOU use to plan your week? Time for an Erin Condren planner UNBOXING & HAUL for 2017!!! I purchased the Erin Condren LifePlanner and some other accessories so I'm excited to give you a sneak peak. And I'll do a "how I use this planner as a blogger and WAHM" video soon so don't forget to subscribe to my YouTube channel! *Some of the links in this post are affiliate links, which means I'll receive a small bonus if you purchase through the links I provide. This doesn't cost you a single penny but it does help support this blog. Please read my Disclaimer for more info. While this post is not sponsored (I got all of the items on my own) you can get $10 off your first Erin Condren purchase by using my special link here and creating a free account with them! Here are the specific items mentioned in the video! GIVEAWAY! Erin Condren, Ashley Shelly, & Overbudget to Overjoyed (Personal Finance) Course! Eeeeek! I'm so excited to announce that my girl Jia from MarriageMotherhood.com and I are doing a CHRISTMAS GIVEAWAY to help you guys get ready for 2017!! GIVEAWAY ENDS DECEMBER 28, 2016 SO HURRY AND ENTER! I did a post awhile back on how I personally use the Erin Condren planner and, I'm not going to lie, I got pretty detailed. I try to stay extremely organized and that particular planner has a lot of features that I really love! But before you check that out, let's talk about Jia and her course! OVER $60,000 IN CONSUMER DEBT AND FULLY FUNDED THEIR EMERGENCY FUND IN 3 YEARS. Holy smokes, that is amazing! 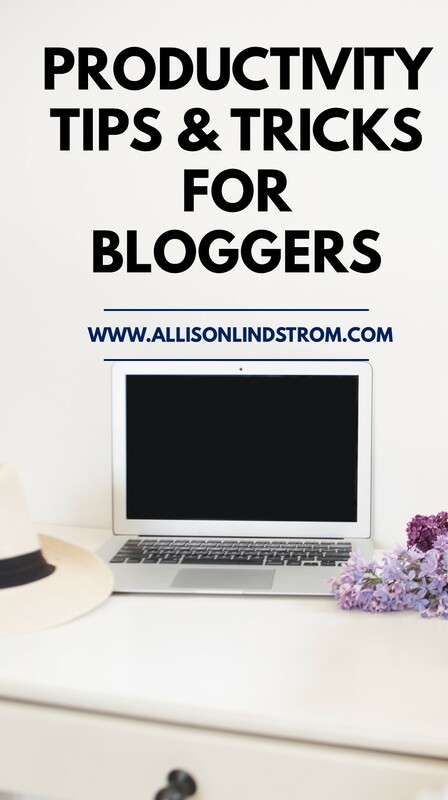 Now you might be a little confused as to why I'm partnering with personal finance when we talk about blogging and business here on AllisonLindstrom.com. Here's the deal. A large percentage of students in my blogging courses start their blog because they want to increase their income in some way. 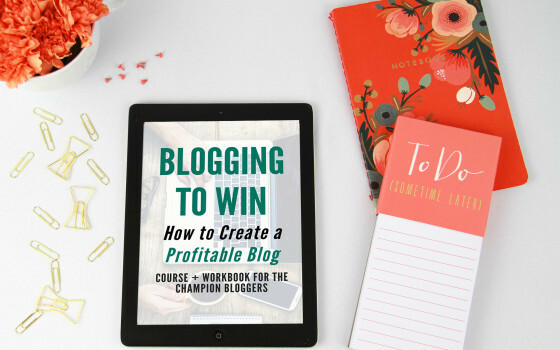 I wanted to partner with Jia because I want you guys to have strong financial systems in place so you can really unleash that blogging business with a bang in 2017! So hurry on over to enter the giveaway by clicking the button below! Good luck! Ready to increase productivity in 2017? If you follow me on Snapchat or Instagram stories then you know my body had a little bit of a meltdown this year (the pharmacy knows me by name, y'all) because I took on WAY too many projects and didn't leave any time for a little R&R. A lot of you reached out to me saying, "THAT HAPPENS TO ME TOO! I took on too many projects in the year and the holidays have me worn out." Well you and I are powerful women and we're not going to neglect ourselves in 2017, are we? No ma'am! Don't forget to subscribe to my channel and let me know if you have a video request by emailing hello (at) allisonlindstrom.com! 1. Control your #1 source of distraction...the smartphone! Getting distracted is obviously going to screw up your productivity. My iPhone is definitely my main source of distraction (Snapchat anyone?) and I'm making some changes to how I handle my phone to make sure my use of it is a little more effective. First, I'm turning off those sound notifications. I want to be in charge of how often I check my email and social media. I hear that little ding! and instinctively pick up my phone without thinking. Yuck. No more! Second, I'm making our bedroom a No Phone Zone. A lot of evenings, I climb into bed and hop on Snapchat or CNN and before I know it, it's 2 hours later. I wake up the next day feeling groggy and don't get as much done. (Am I the only one?!) I'm really excited about implementing this change so that doesn't happen anymore! This idea was used by my dear friend Kristin at Believe in a Budget this past year and I saw firsthand how beneficial it was for her! It takes the pressure off of having to tackle multiple large projects at the same time. This approach really helps me focus more...and I REALLY need that. I'm my own worst enemy because I distract myself so easily. Ha! We all know that we are more productive when we have a healthy mind and body. This change is all about giving yourself permission to put the work down for a sec and do something that makes you feel grounded and calm. Then when you go back to that large project, you approach it with more energy and focus! I always spend the evenings with my little family doing all of the activities that really bring us closer together and further away from the "noise" outside. This includes our family prayers, reading books with our son, and talking with some calming, low lights and playing our favorite tunes on the record player. Lemme be honest, friend. If I look at a large project like creating a course from scratch or even doing a lot of laundry, I spend more time avoiding it because I'm overwhlemed by the size of the task. It's not very productive of me, but it's just a part of my personality. I'm much more productive if I set a timer and say, "Allison, all you have to do is 20 minutes of your fiercest work. If you're on a roll at the end then set the timer for another 20 minutes. But just work hard and stop when the timer stops if you need to. " Doing this timer trick has really helped my productivity, not to mention my laundry room. If you have a list of important things to do, play the "highest priority" game by organizing them by....obviously...rank of importance. But the trick here is that you're not allowed to work on any of the other tasks until the highest priority project has been completed. Again, this change comes from my ability to distract myself. Do you see the theme here? What are your favorite productivity hacks? Comment below! Ready to have the most productive year of your life? Today I'm talking about the best ways to use a planner to help you streamline your goals and prioritize your to-do list! Whether you're a college student, stay at home mom, or business professional, we can all agree that we need a little organization to get everything done in one day. For reference, I use the Erin Condren Good to Go Life Planner and I have to say that I'm pretty much in love. First of all, the quality is amazing. I've had planners where the pages were thin or ripped easily and that's always annoying. It also has the strongest binding I've ever seen on a planner. I usually tote it around like it's my right hand and constantly spill coffee on it. If it can survive me, it can survive anything! Second, I need a vertical layout for the daily planner because I look at my obligations as a long to-do list. Do you know how hard it is to find these in stores?! Is it just my local area?? I've been using this method for a while and it helps me prioritize like a ninja. I can't remember where I first read about it but I think it was from either Eat That Frog! 21 Ways to Stop Procrastination and Get More Done in Less TimeEat That Frog! 21 Ways to Stop Procrastination and Get More Done by Brian Tracy or Getting Things Done: The Art of Stress-Free Productivity by David Allen. If you're like me (and everyone else in the world, I would imagine) you add tasks to your planner one at a time and probably not in any order of importance. Ugh, the battle. I hate using pencils so erasing and rearranging isn't an option for me. This method helps me prioritize everything. Here's how I use it. Based on how important these tasks are, I would organize them by A1 (very important) A2 (important) and A3 (less important). I usually look at my tasks early in the morning and prioritize them then. Here's how they would look in the planner. Are you rearranging your living room? Writing a book? I use the monthly section of my planner to give me a bird's eye on deadlines for my large projects. This year I'm writing a book and I'm keeping tabs on everything in the monthly section. I feel like taking my organization a step further like this helps boost my productivity even more. Yes, I'm a little picky and incredibly overly organized. But it's the only way I get things done around here! Wash a load of laundry, load the dishwasher, make the beds...these are all things that I do nearly every day in my cleaning schedule. Should they be included in your planner or not? That's really up to you but I choose not to include them and here's why: they take up valuable space in my planner while letting more important tasks (like dentist appointments and book draft deadlines) get camouflaged in the mix. The more daily tasks I have in my planner, the less I can really focus on the more important obligations. So I use a simple printout for housecleaning duties and find that it works really great. Right now I'm doing the 4:30am in February Challenge (yeah, it's brutal but also totally amazing) where I'm waking up at 4:30 every morning to work on my biggest yearly goals. Having a productive year sometimes happens when you make challenges out of even the smallest of tasks. Are you trying to read a chapter a week? Make it a challenge! Are you trying to drink more water every day? Make it a challenge! I love this Savings Challenge layout from the Monthly Budget Book from Erin Condren. We're using it for our Vacation Savings Account this year because we really want to take a big family vacation next year. Chaos is the enemy of your productive year. I have a couple of routine blog/writing tasks that I sort out throughout the week. This "schedule" isn't set in stone but it certainly helps me stay focused. My schedule used to be very chaotic. I would write for a little bit, then dabble in promotion, then spend a while on old posts, then try to go back to writing. I constantly felt like I wasn't getting enough done in one day. By concentrating on specific tasks on certain days, I find myself being 10x more productive! I seriously can't recommend it enough. Clarity is one of the best ways to make sure you have a productive year. If you can combine knowing exactly what you want ("What kind of book do I want to publish this year?") with organization to suit your needs ("When is my first book rough draft due? "), you'll find yourself having the most productive year of your life. What's your favorite planner? How do you keep yourself inspired to accomplish your goals? This post was sponsored by Erin Condren but all thoughts and opinions are my own- I keep it real here on Frugal on the Prairie! Please read my Disclaimer for more information.